Connect to the Public Telephone Network. 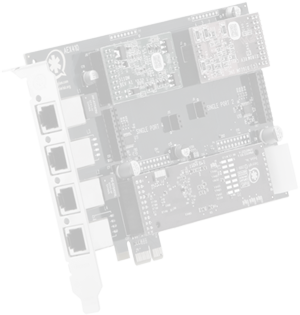 Digium offers a full line of high quality analog and digital interface cards to connect your IP PBX, IVR, VoIP Gateway, or custom telephony solution to the public telephone network. Select from the available attributes to find the telephony card(s) that match your requirements. * Images may not represent actual module configuration.